Rather large, slender and pied wader with mainly white appearance; at distance flocks on water somewhat recalling small gulls. 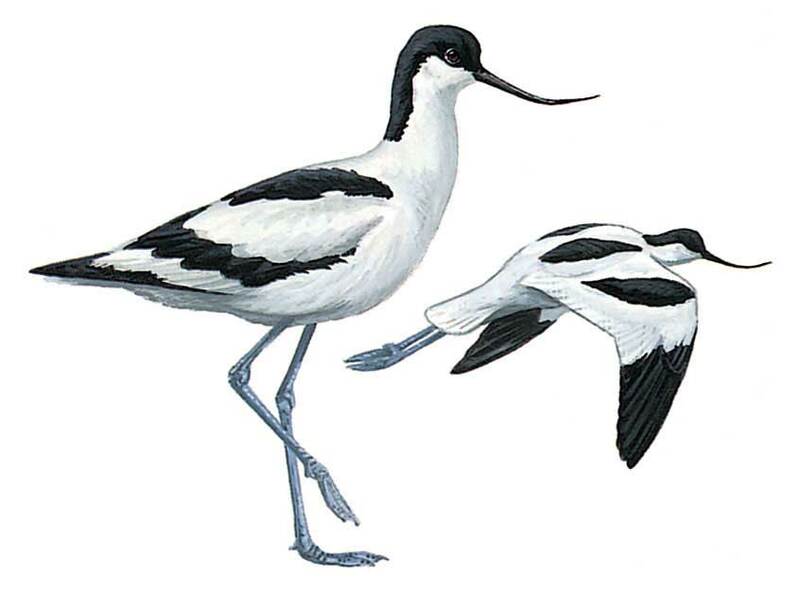 Black crown and hindneck and long, thin upcurved bill are distinctive features; in flight, shows white wings with prominent black markings; from below pure white with black wing-tips and long trailing greyish blue legs. Flight is stiff-winged, giving flickering appearance. Juvenile tinged brown on black parts, and white is mottled buff in upperparts. Walks steadily and delicately with head down when feeding in shallow water. Gregarious throughout the year.